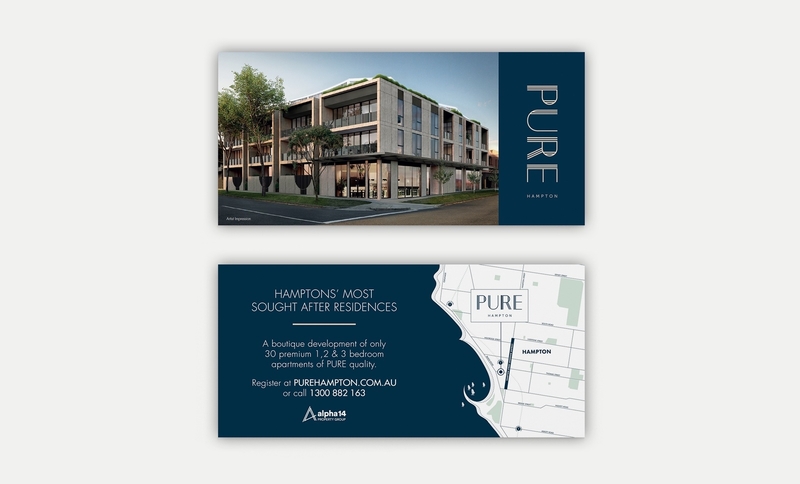 Pure's 30 apartment development in Hampton took great inspiration from its beachside location and it shows in the branding of this project. 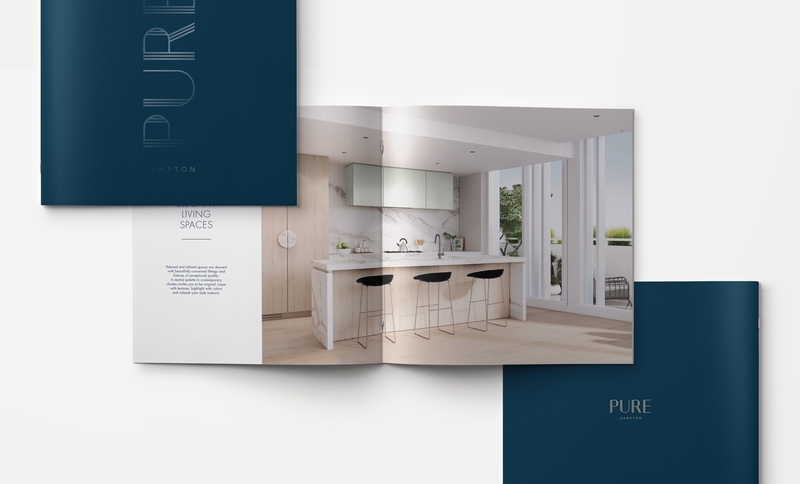 Alpha14 asked Barking Bird to deliver a brand that incorporated all of Hampton’s desirable features and created an aspirational image of the development. This, first and foremost, meant playing off its beachside location. 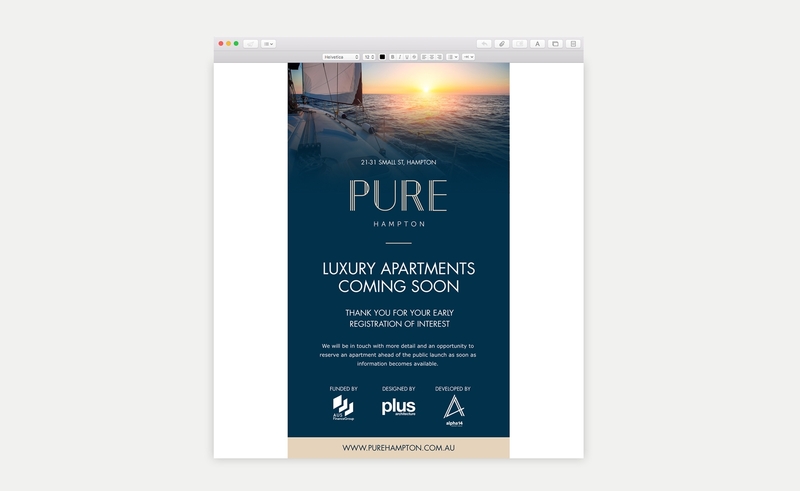 Barking Bird created the brand of Pure Hampton, an idyllic narrative around the freedom of living life as it was meant to be lived. 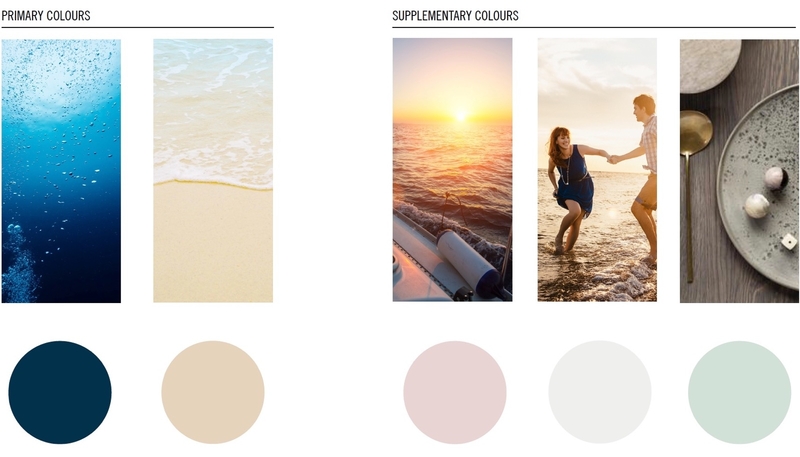 The easy-going beachside lifestyle played heavily into this, seeping into the colour palette and imagery.